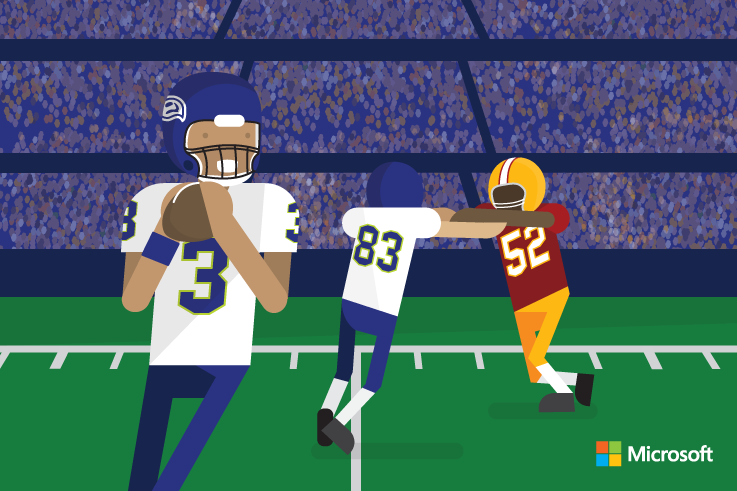 Like post-season football, sales is a high-stakes game. Faced with today’s Internet-savvy customers, your sales team can easily feel stretched as thin as an over-taxed defensive line. Getting the job done in a way that fosters long-lasting customer relationships can sometimes feel like too much to tackle, but the teams rising above today’s high customer expectations are finding ways to improve their productivity without adding to their ranks. The way we figure it, the teams headed to the Super Bowl can’t just add more players to their rosters when they get to the big game, so you shouldn’t have to either. What’s more, online shoppers are actually opening the door to new omni-channel solutions that could help you too. For example, online ordering with the option to pick up in-store, already mainstream in places like the United Kingdom, is now gaining traction in the United States. Quick on its heels is the option to pick up an order “at-store.” In this case, customers can simply pull up to your loading dock and pick up their pre-purchased orders without even having to enter the store. For some customers that’s the pinnacle of customer service, and you just might win their return business by letting them do their own thing. For those folks who prefer the hands-on approach, the proper application of in-store technology just might put you at the top of the heap. The Internet of Things (IoT), paired with your own mobile sales terminals, can grab a customer’s name, purchase history, and preferences as they step through the door. Even if you’ve never met them, you can greet them by name and offer to show them what you have in your store that might suit their specific desires. After making a quick but personal first contact, you might want to leave customers to their own devices for a bit (pun intended). On their own smartphones they’ll find special offers and discounts, offered as their device connected to your store’s network. There’s nothing like a great deal to encourage a bit of in-store exploration. If you’re in the clothing industry, another high-tech innovation that could save your sales team some time and simultaneously offer a better customer experience is The Connected Fitting Room. Straight out of science fiction, this smart fitting room uses RFID technology to track what customers try on and call for what they’d like to try next. Whether it’s the same item in another size or color, or something new altogether, customers can direct their own fitting room experience however they like―all while in their skivvies. While the customer wins a new level of personalized attention and maintains the utmost privacy, your sales team also wins new insights into their shopping habits. The next time that same customer walks through your doors, you’ll be able to make them feel even more cared for. Tackling the challenge of transforming your modern sales floor into the consultative, imminently personal sales space that dreams are made of doesn't just mean stepping up to the needs of today’s customers. It means adding to your sales playbook and giving your team the tools to increase productivity. Unlike football, in retail the big game is always right around the corner, so if you’d like to get your own sales force up to Super Bowl levels of productivity you can start doing some of your own scouting right now – just click below! Sales Productivity for Tomorrow’s Retail Space—Delivered Today!